This recipe will take 5 mins (or less) to whip up and is DELICIOUS. This particular recipe is Martha Stewart’s. To make this recipe Gluten Free, just substitute the flour for Gluten Free flour – I find the Edmond’s GF flour works the best. In a medium bowl, whisk together milk, oil, and the egg. Add dry ingredients to milk mixture; whisk until just moistened (do not overmix; a few small lumps are fine). Heat a pan over a medium heat. Fold a sheet of paper towel in half, and moisten with oil; carefully rub the pan with oiled paper towel. For each pancake, spoon 2 to 3 tablespoons of batter onto pan. 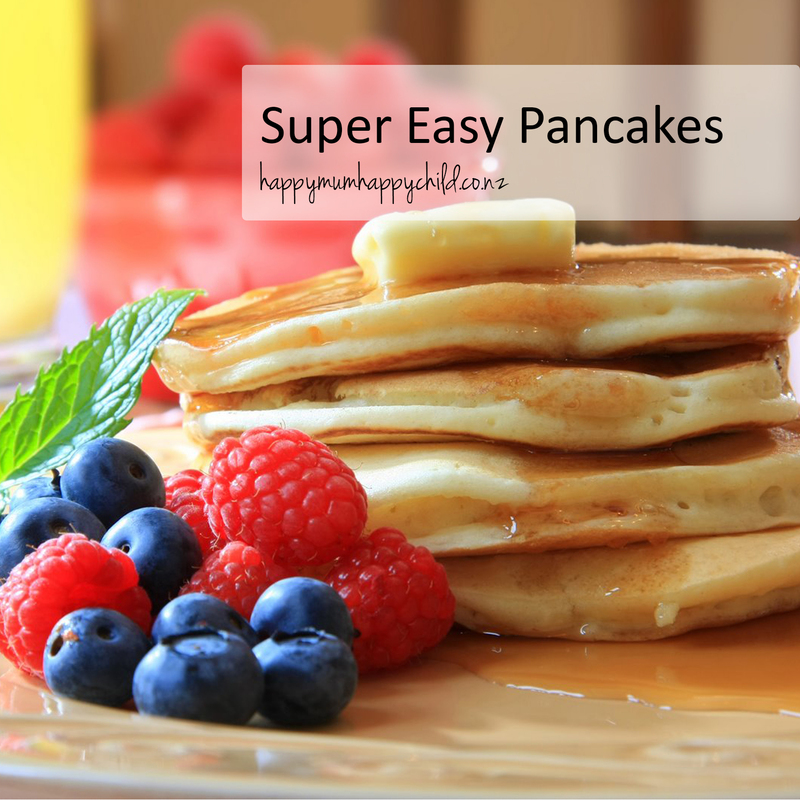 Cook until surface of pancakes have some bubbles and a few have burst, 1 to 2 minutes. Flip carefully with a thin spatula, and cook until browned on the underside, 1 to 2 minutes more. Transfer to a warm plate in the oven.